In Another Life was such a quick, fun read! I couldn’t put the book down because I always wanted to know what happened next! There are many movies about kidnapped children living another life, but this a brand new take on it that I hadn’t seen before, so I really enjoyed reading it. Chloe and Cash were so cute, too! Thank you, Taylor!!! I’m thrilled you enjoyed it. Omg I love the shirt! Haven’t read the book yet but it sounds interesting. And can’t wait to read it. Loved the book! You are my favorite! In Another Life was great!! Loved Chloe and Cash! I really related to her with the divorce too, as my parents divorced when I was young! This was a super quick read that I couldn’t put down! Would love to win this!! Thanks! Thank you, Marci! I loved writing it. Haven’t read the book yet, but it sounds just like what I like to read! I am definitely going to read it soon, i can tell it will be a book I can’t put down! Thanks for all you write! I can’t wait to read In Another Life. Thanks for the giveaway!! Reading this book for the second time in a week! Kinda heartbreaking when Mrs. Fuller sees Chloe/ Emily for the first time. Thank you for another wonderful story. I received In Another Life for my Anniversary and read it in one sitting. Now I’m reading it for the second time. I simply couldn’t put it down. In Another Life is a great book! I’m 3/4 the way thru it, and its been in my mind all day! Haha I’m finishing it tonight! Chloe and Cash are so cute! Everything you write is so so good!! Thanks for all the years of wonderful books!! I can’t wait to read In Another Life! I don’t have it yet, but I am planning a trip to the bookstore very soon. 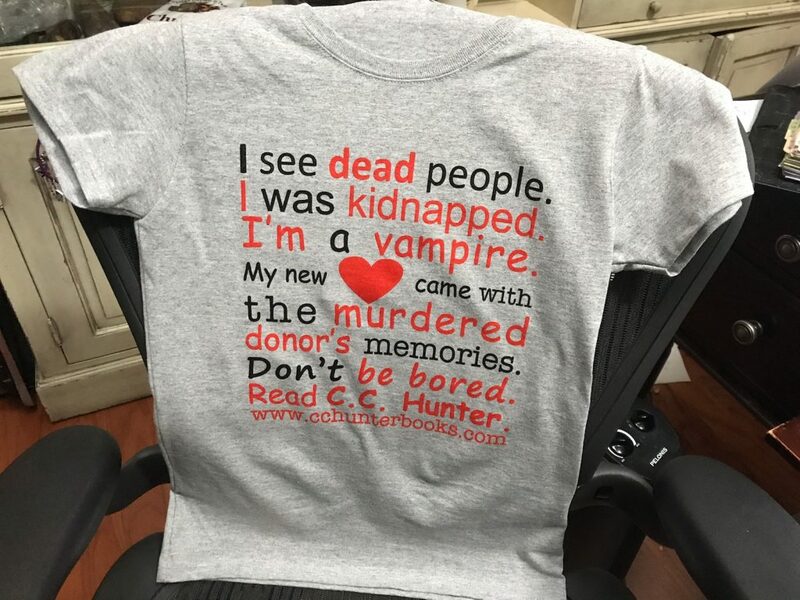 The shirt is super cute too….love it!